A boat ride in one of the most exclusive parts of the Caribbean - Mustique, a truly natural paradise popular with Hollywood actors and rockstars. A characteristic whaling station, and the elegance of Bequia and Princess Margaret Beach, where we can enjoy pleasant moments on an unspoilt white beach. We board a motor or sailing boat for a ride in the unspoilt waters of the Caribbean sea, from where we can spot Battowia and Balliceaux in the distance. We pass by Bequia and head to Mustique, a wonderful 5.5 hectare islet with fertile valleys surrounded by coral reefs, small coves and dazzling beaches. By circumnavigating the coast of this exclusive exotic island we see the fabulous homes of numerous VIPs such as Hugh Grant and Pierce Brosnan. We then pass by Petit Nevis, location of one of the last whaling stations in the Caribbean. 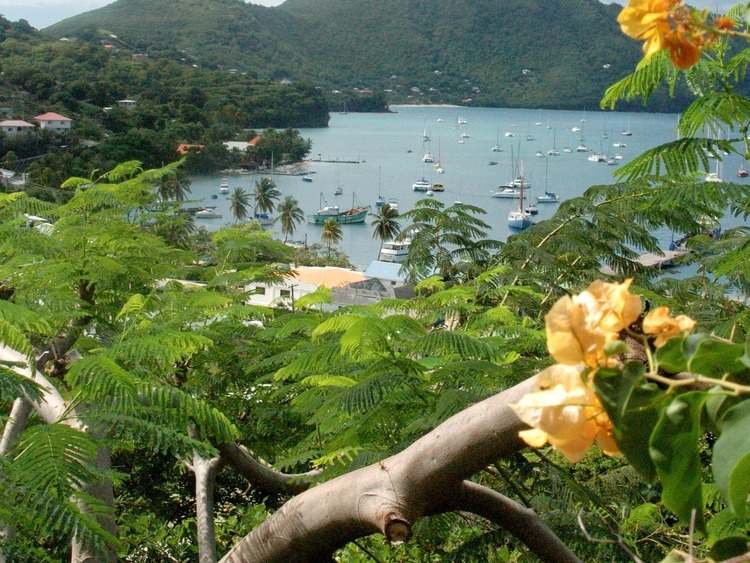 Our second part of the day is dedicated to discovering Bequia, a true paradise for yachtsmen. The islet is off the beaten tourist track and is an idyllic unspoilt haven with numerous yachts anchored near small fishing boats in natural bays with white beaches and lush greenery. We pass by the islands that once carried out whale hunting and admire the extraordinary Moon Hole, a natural arch over 30 metres high. We then stop at Princess Margaret Beach, a wonderful white sandy beach**, where we will enjoy lunch and a swim or dive. An unspoilt place dotted with yachts and a wooden pier perfect for diving. We feel as if we have landed in a true heaven. Before heading back to Saint Vincent, we pass Port Elizabeth, the charming main centre in Bequia with its colourful shops and hotels. On our way back to the terminal, we will relax enjoying delicious rum punches. Do not forget your swim suit, beach towel, sun cream and sunglasses.